Cost to install new carpeting varies greatly by region (and even by zip code). Get free estimates from carpet installers in your city. Cost to install new carpeting varies greatly by region (and even by zip code). Get free estimates from carpet installers in your city. 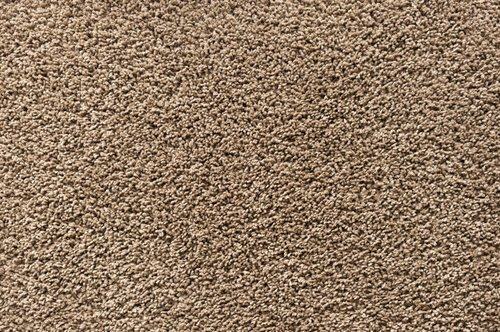 The average cost of installing carpeting is $980 - $1,680. Carpeting is an attractive, soft, and comfortable floor covering suitable for many rooms in the home. Available in a wide range of styles, materials, and depths, carpet is often seen as a warm, inviting flooring surface. While throw rugs can be put down by anyone, real wall-to-wall carpeting must be installed by professionals. The material needs to be measured, stretched, and tacked down properly to avoid wrinkles or hazardous nails. 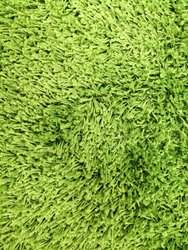 While carpeting has a wide range of prices, the average homeowner pays between $7 and $12 per square foot ($63-$108/square yard), with the average installation size roughly 10-feet by 14-feet for an average cost of $980 to $1,680. Keep in mind that carpeting is usually sold by the square yard, around 9 square feet, with the average roll being 12-feet wide. While this will not impact the cost of your installation, it does make it more difficult to compare costs with other materials like hardwood. For this reason, prices will be given in both square foot and square yard measurements. Like all materials, carpeting has its attributes and its drawbacks, so it may not be right for every project. Carpeting is warm and soft underfoot. Carpets have insulating properties that may make the room feel warmer. Carpet is stylish, and available in many colors, patterns, and textures. Carpeting is available in a range of materials, including natural and synthetic. Some carpets may help to muffle sounds and reduce echoes. May help protect from injury in the event of a fall. Less expensive than some other flooring types. Carpeting may harbor allergens, mold, or dust mites 1. Some types of carpets can be difficult to keep clean. Some types of carpets may stain. Carpeting has a shorter lifespan than other types of floor coverings. Some types of carpeting are not sustainable or eco-friendly. Carpeting has a wide range of associated costs. Some materials, like wool or Berber, for example, may cost more than synthetic options. Because carpeting is sold by the yard, the larger the area you are carpeting, the higher your total costs will be. This is also true for the padding 2 you choose to go under your carpet since the thicker the padding, the higher the cost. Stairs, corners, bump outs, and other irregularities in the installation may also impact the total cost of the installation. If you are carpeting over concrete and need a vapor barrier 3, this may also add to the final costs. Before new carpeting can be put down, a lot of prep work needs to go into the job. The amount and type of prep is dependant on the surface you are carpeting and its current condition. The first step involves your subfloor 4. If your subfloor is old or unstable, it may need to be replaced. If your subfloor is made of concrete, it may need a vapor barrier to help prevent moisture from seeping into your new carpeting. If you need a new subfloor, this will be installed by a carpenter. Typically, this costs around $70 an hour at a rate of 2-3 hours’ work for a total of $140-$210 for a new subfloor. Your installer will put down a carpet pad over the subfloor. Carpet pads act as a shock absorber beneath your carpet. They make the surface more resilient, as well as more comfortable. Each type of carpeting has a recommended pad type and thickness. While you may have options, it’s always best to choose the pad made specifically for the carpet you’re having installed. 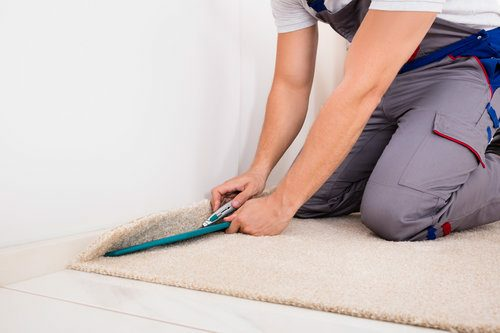 The general rule of thumb for carpet pads is to make sure that they fall between ¼-inch and 7/16-inch thick with 6 pounds per cubic foot density. If installing a Berber or other low-profile carpet, however, you will need to use a pad that is less than ⅜-inch thick with 8 pounds per cubic foot density. There are many considerations that go into the selection of a carpet. While color, pattern, and style are certainly part of the selection process, there are other things to consider as well. If you own pets, you may want to look at carpeting that can be easily cleaned or that is stain-resistant. Small children or busy households may also require stain-resistant carpeting, as well as stain-resistant carpet pads. Material is another consideration. Both natural fibers and synthetic are available, and both will wear differently over time. The height (or, depth) of the carpet is another thing to consider. Lower naps and Berber carpets are easier to keep clean, last longer, and don’t show as much wear. However, carpets with a deeper nap may be more comfortable underfoot. If the carpeting will be in direct sunlight, you will want to look for a UV-resistant brand to help prevent fading. If the carpeting will be near an entrance, stain-resistant fibers can help prevent discoloration over time. In addition to things like UV- and stain-resistance, there are also several types of carpeting grouped by how the fibers are presented. Each will give you a very different look, as well as different wear levels. The material that your carpet is made from can influence things such as cost, how long it lasts, its stain resistance, and how sustainable it is. There are many different carpet materials to choose from, each with their positive and negative attributes. Carpet installation is done by a flooring professional. This usually consists of the removal of current carpeting, preparing the subfloor, laying the carpet pad, and finally the new carpet is unrolled, stretched, and stapled into place. Depending on the type and material of carpeting you get, the quality of your subfloor, and the area you live in, you may find that your carpet installation costs can vary. Carpeting is usually installed by the yard, the same way it is sold, at a cost of around $18 per square yard. This breaks down to roughly $2 per square foot for installation, so a 10x14 room will cost about $280 in installation costs alone. Where the carpet is installed—high traffic vs. low traffic areas. The height of the pile. For most cut, cut and loop, plush, and other deep pile carpets, you may expect to vacuum the carpet two to three times a week. Blot spills as you notice them to help impede stains. For low pile and looped carpets, run a carpet sweeper two to three times a week. Blot spills as soon as they are noticed. 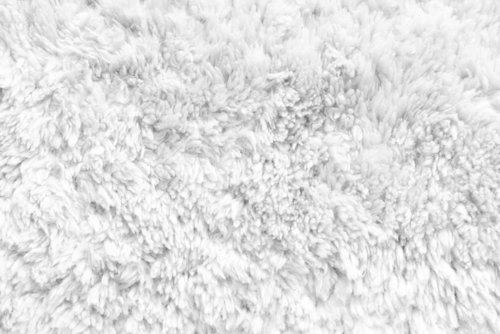 For natural fibers and carpets that have not been treated against stains, detergent and carpet shampoos may be used as needed to remove stains and treat heavily-soiled areas. Always choose a detergent recommended for your carpet material and type. Professional carpet cleaning is recommended every 12-18 months for most carpet types, at a rate of around $50-$75. Carpeting and hardwood are two of the most popular types of floor covering for whole house installation. They both have a lot of positive and negative attributes that may influence the final decision to get one or the other. There are stain-resistant treatments available for some carpets and others may already be stain-resistant. Adding resistant treatment typically costs around $80 per gallon, which can treat up to 1,000 sq.ft. Radiant heating can be used with carpeting. This includes electric radiant heating, which costs between $6,000 and $14,000, and which is installed directly beneath the carpet on the subfloor. Transition pieces or thresholds may be necessary between rooms, particularly if you are using two different flooring pieces. These can cost between $2 and $20 depending on the type, material, and style used. In most cases, professional in-home measuring is included in the cost of the carpet installation. However, if you choose to just have measurements done, there is usually a nominal fee of around $50. 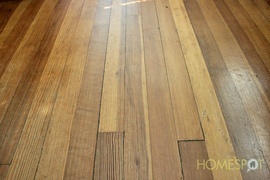 Removing old flooring may increase the costs of the project by around $2 per sq. ft. For a 10x14 room, this will increase costs by around $280 unless it is included in the cost of the project. This will vary greatly depending on the type and amount of flooring you need removed. Check with your installer to find out if this is an additional cost. You may need to engage a professional service to remove heavy furniture or pianos prior to installation, unless you are able to do so yourself. You can expect to pay $50-$100 if this is necessary. Baseboards will need to be removed prior to installation and reinstalled after. This is usually included in the cost of the installation. If the carpeting will abut an exterior door, a threshold will need to be installed there. 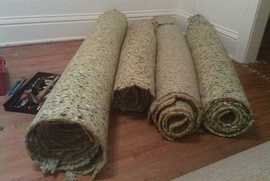 The tack strips used to install the carpeting are usually included in the costs, but may not be. Always check to see if it is added to the quote when comparing costs. 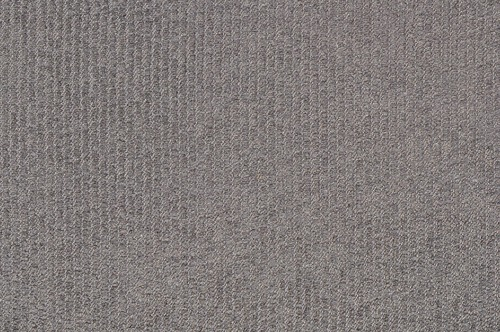 Natural fiber carpets like wool are a more eco friendly option, but often have a higher cost. This project is not recommended to be done DIY. Carpeting must be stretched and tacked properly to avoid wrinkles. The subfloor and other prep must also be done properly to ensure a successful installation, which makes this job out of the reach of most homeowners. How much does it cost to install 1,200 square feet of carpet? The average cost is between $7 and $12 per square foot, for a total of $8,400 to $14,400 for a project this size. How much does it cost to put carpet in one room? The average cost to install carpeting in a 10x14 room is between $980 and $1,680. How much does it cost to carpet a 12x15 room? The cost to carpet a room this size will range from $1,260 to $2,160 on average. How long does carpet last in a house? Typically, carpet lasts between 10 and 15 years, but may last longer or shorter depending on use, traffic, and material. The average cost to install new carpeting is between $7 and $12 per square foot. 1 Mites: Small, often microscopic invertebrates that mostly live in the soil or water. 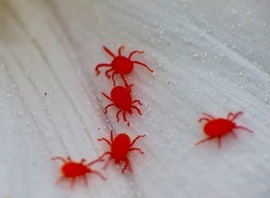 Some mites are parasitic and live on plants and animals. How much does it cost to install new carpeting in my city? Cost to install new carpeting varies greatly by region (and even by zip code). To get free estimates from local contractors, please indicate yours. First, a summary stating the price was added and all sections were replaced with more detailed ones, including information on the pros and cons of installing new carpeting, some factors that might affect the cost, required prep work, and different types of carpet pads. 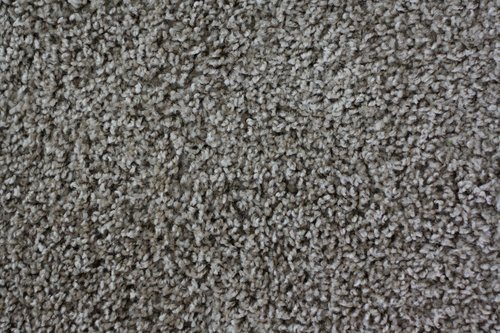 There is now a section explaining the main things that need to be considered before choosing a carpet, and two sections have been added about the types of carpet and the main materials used. Moreover, the section “Labor” briefly explains which professionals carry out this project and how they will proceed. There is information on how carpeting should be maintained and cleaned. 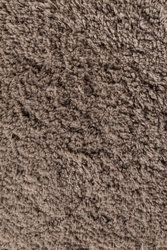 A comparison between carpet and hardwood has also been added, especially regarding cost, maintenance, and other factors. There is now a section dedicated to enhancement and improvement costs and another that contains additional considerations, such as the need to pay to have measurements taken. Finally, all prices were updated, the picture was changed, and a “FAQ” section was added to answer the most common questions. Cost Considerations: Extermination of dust mites costs $200 to $500 for the initial treatment.